The first important fact is that Piemonte is the correct Italian name for this region but there is an English spelling of this which is Piedmont. A confusing start for a few of us on google searches for Piedmont when all that keeps coming up is this other place called Piemonte! Yes I admit I was confused for at least an hour on this. Piemonte translates to the 'foot of the mountain' which is exactly where it is at the foot of the Alps. 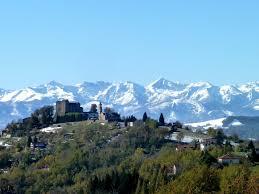 That's why so many pictures of Piemonte show the majestic line of the Alps in the background. Piemonte is up in the North Western point of Italy, bordering France and Switzerland. What is the capital of Piemonte? The capital is Torino (Turin). Important cities in Piemonte include, Alessandria, Cuneo, Biella and Asti. What Piemonte is famous for? Wine, cars, white truffles, hazelnuts, Ferrero Rocher (Nutella) and being the slow food movement HQ. "Piedmont helps enrich the flags of national taste with its 336 specialties including meats, cheeses, condiments, fresh pastries, bakery products and much more - said Delia Revelli president of Coldiretti Piedmont - This is the result of the whole work generations of farmers engaged in time to defend biodiversity in the area and food traditions. Our region is able to offer a rich gastronomic and cultural heritage, common good for the community and tourists, including foreigners, who visit us. "